I’ve never worked as hard to promote a book as I have with A Fall in Autumn. In the two and a half months since it was published – no, two and three-quarters – I’ve directly queried something in the neighborhood of 150 outlets seeking reviews. I nearly got reviews by NPR’s All Things Considered, but they don’t review books after publication and that meant I was exactly two days late. Let this be a lesson: get your publisher to wait a little bit once everything is ready so you can do prerelease promotions. That one was a real head slapper of a moment for me. On the plus side, I have no gotten an email from Lynn Neary telling me it sounds great. I’ll take my wins where I can get ’em! Of those 150 queries, I’ve managed to land interviews on podcasts, Twitch.tv streams, and print and online magazines. I’ve been reviewed in a bunch of queer media outlets, with more on the way. My publisher says he “sees real momentum” and to keep it up. The only problem? I can’t find more outlets. If you have one to recommend, please, speak up. My next task is to start querying science fiction blogs and websites. The problem there is that sci fi is so mainstream these days the ones it’s easy to find are huge. Syfy Wire doesn’t have a “Contact Us” page on their site because all the publicists who would contact them already know how to get in touch. But we shall see. I’ll figure something out. In the meantime, here are just a few of the ways you can now see, hear, or read me talking about A Fall in Autumn. My husband and I were guests on the Tabletop Gaming Etiquette episode of Effing Etiquette, which is amazing and you should subscribe to them. I got to be a panelist on episode 24 of Writer Imperfect on Twitch, which was really fun. I had the tremendous pleasure of returning to Authors on the Air to discuss it with Pam Stack, who is just an amazing human being. I had a guest post up at LGBTQ Reads! I got interviewed in the print and digital editions of Peach ATL! And while I’m here, I should mention again that I have a monthly newsletter. If you sign up you get one free story immediately and you get access to an ongoing science fiction story set in the same world as A Fall in Autumn but, instead of taking place 12,000 years from now, it takes place now. And now back to finding outlets who might review A Fall in Autumn! Speaking of reviews, have you reviewed it yet? You have no idea how important ratings and reviews on Amazon and Goodreads are to an author’s success. The mechanisms at work behind the scenes – the arcane algorithms Amazon uses to decide whether to suggest a book to a given shopper – are opaque and unknowable, but we all know more ratings and reviews help rather than hurt. So if you’ve read it, rate it on Amazon or Goodreads. If you’ve already done so, thank you! 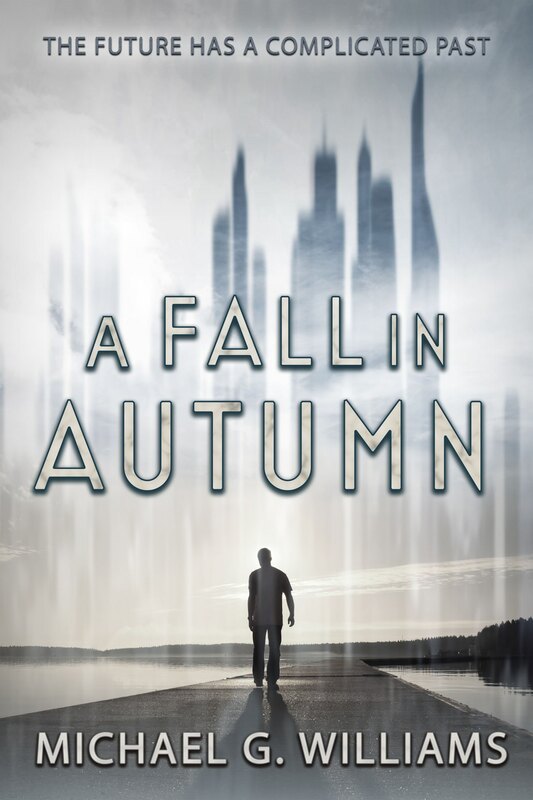 ← A Fall in Autumn is out now!